While campus activity slows down during summer, expect to see business as usual in many areas during the coming months. Maintenance work will continue around campus, while some locations and services offer reduced hours. Most locations will be closed Independence Day, Wednesday, July 4, and Labor Day, Monday, Sept. 3. Zero week is June 18-22 and summer term begins June 25. 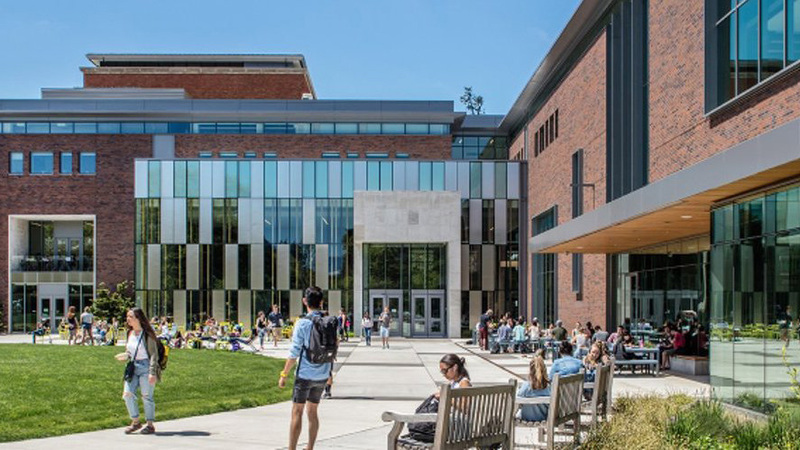 Campus Planning and Facilities Management has information on closures and major projects, including at Volcanology, Bean Hall, Hayward Field and Knight Campus on the department’s notification map. Although more parking spaces will be available as a result of students and some faculty being away, all campus lots will be patrolled as usual. The parking office is open Monday-Friday from 7:30 a.m. to 5 p.m. to buy fall parking passes; they can also be ordered online. The Knight Library has reduced summer hours and will be closed June 23. See the website for branch hours, branches including law and the Price Science Commons. University Health Center’s summer hours from June 25-Aug. 31 are Monday-Friday, 9 a.m.-4:30 p.m. and closed on weekends. From Sept. 4-11 they will be open 9 a.m.-1 p.m. and will reopen for fall Sept. 19. The Counseling Center’s after-hours support and crisis line is always available at 541-346-3227. The Student Recreation Center will be closed from June 23-24 and again for annual maintenance Aug. 25-Sept. 9. Please refer to the website for a complete list of modified hours. Safe Ride will follow reduced summer hours. From Sunday-Thursday it will operate from 9 p.m.-midnight and Friday-Saturday from 9 p.m.-2 a.m. The UO Campus Shuttle does not run during the summer, but the Designated Driver Shuttle will operate seven days a week from 10 p.m.-1 a.m. The Erb Memorial Union will operate on scaled-back hours with some weekend closures after week 8. Check its website homepage for updates. The Technology Service Desk will continue to operate Monday-Friday, 8 a.m.-5 p.m. during the summer, but will suspend its evening phone hours June 25-Sept. 14. In addition, the Tech Desk will likely close for one day, which is yet to be determined, while it moves to its new location in Prince Lucien Campbell Hall. ID Card Services hours do not change in summer as IntroDUCKtion sessions keep the office busy distributing new IDs to incoming students. Faculty and staff picking up keys and IDs should choose to visit the card office in between sessions. The Campus Copy Center in the basement of the EMU will operate 7:30 a.m.-3:30 p.m. this summer. For weeks 1-8 the EMU Computing Lab will be open Monday-Thursday, 9 a.m.-7 p.m. and Friday, 9 a.m.-5 p.m. During Intersession it will close at 5 p.m.
Campus cafes in Lillis, Lawrence, Price Science, Knight Library and HEDCO are closed during zero week and will operate Monday-Friday, 8 a.m.-4 p.m. through Aug. 17. Two campus dining halls will be open seven days a week until mid-August. Carson Dining and Dux Bistro will operate 7 a.m.-8 p.m. with breaks in between meals at Carson. The EMU dining options have reduced hours with some Sunday closures. The four Duck Store campus locations will have shortened hours with the stores at the EMU and law school opening later in the morning as well as closing on the weekends. Fall term starts Monday, Sept. 24.